Fees associated with filing trademark applications in Sweden as well as other trademark fees are available in the fee calculator. Multiple-class trademark applications are possible in Sweden. - list of goods and services for which the trademark is registered. Legalisation of a Power of Attorney is not required. It may be provided later, i.e. within one month from filing the Swedish trademark application. To confirm the right of priority, the certified copy of the priority document must be submitted within one month from filing the trademark application in Sweden. The notarized translation into Swedish is required. Oppositions against trademark applications in Sweden may be filed within three months from the date of registration. The registration is valid for ten years from the date of filing (for applications filed after 01.01.2019) or from the date of registration (for applications filed before 31.12.2018). For trademark applications filed before 31.12.2018, renewal fees shall be paid within 6 months before the registration date and not later than 6 months after the registration date. Renewal fees for trademark applications filed after 01.01.2019 shall be paid not earlier than 6 months before the filing date and not later than 6 months after the date of filing. Trademark registration may be renewed an unlimited number of times for consecutive periods of ten years. The trademark in Sweden may be cancelled if it has not been used within five years from registration. To perform the trademark prosecution in Sweden, foreign persons should appoint an agent, a registered Swedish trademark attorney. 1. Online Search databases: Swedish Trademarks, EU Trademarks. 2. Trademark protection in Sweden may also be obtained via registration of a European Union Trademark. 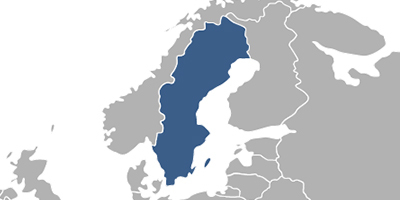 Please contact us if the above information contains any discrepancies with Swedish IP Laws.